The March concert in our acclaimed Enescu Series brings together cellist Mirel Iancovici and pianist Jeroen Riemsdijk. A celebration of the eponymous Romanian composer, this month's programme incudes, alongside some of his celebrated compositions, works of his influential teachers from the Vienna and Paris Conservatoires. The two musicians will take us on a melodic voyage into the stylistic ‘regards’ that inspired Enescu’s oeuvre, in a recital that is set to reinstate past muses. Mirel Iancovici is a cellist, teacher, composer, arranger and conductor born in Romania. After studying under Serafim Antropov in the Bucharest Conservatory and completing with Radu Aldulescu and Paul Tortelier, he won many important international competitions such as ‘Gaspar Cassado’ in Florence, Italy, ‘Imperial Tobacco Cello Competition’ in Bristol and ‘Pablo Casals Centenary’ in Barcelona, Spain. He has performed in the world's most prestigious concert halls such as Carnegie Hall, Lincoln Center New York, Philharmonie Berlin, Royal Festival Hall and Wigmore Hall to name a few. Participating in Festivals like ‘Y. Menuhin Festival’ Gstaad, ‘Upper Galilee Chamber Music Days’ Israel, ‘George Enescu Festival’ Bucharest, he collaborated with distinguished artists such as Claudio Abbado, Philippe Entremont, Herman Krebbers, Silvia Marcovici, Raphael Oleg, Ghenadie Rozhdestvensky, Yoav Talmi, Paul Tortelier, Han de Vries and Gerard Wyss. He currently teaches Cello at Conservatorium Maastricht and Fontys Conservatory Tilburg (Netherlands) and has given masterclasses in France, Germany, Italy, Ireland, the Netherlands, Poland, Romania, USA and South Korea. Alongside Mr. Iancovici will be performing concert pianist, chamber musician, teacher, researcher and writer Jeroen Riemsdijk. A distinguished academic, he is the author of “The Golden Fingers Technique for Pianists. The art of Passagework”, which is sold worldwide, and he has published several articles about sight-reading, balanced piano technique and the Style Brillant period. 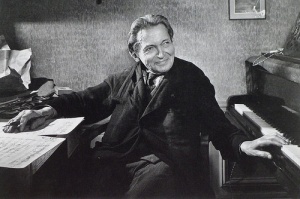 His discography includes music by Shostakovich, Rääts, Khachaturian and Dutch composers Wim Zwaag and Robert Quodbach. He teaches Piano and works as a vocal & instrumental coach in the Classical Music department of Conservatorium Maastricht. As a performer, Jeroen Riemsdijk received his ‘Konzertdiplom’ at the Folkwang Musikhochschule in Essen with Russian pianist Boris Bloch. An acclaimed pianist and chamber musician, he has worked with many leading artists, including: Gustav Rivinius, Levon Mouradian, Johan van Iersel, Floris Mijnders, Arno Pieters, Leon Bosch, Wolfgang Meijer, Henk Guitart, Yuri Zhislin, Levon Chilingirian, Massimo Merceli, Norbert Nozy, Jean-Pierre Cnoops, Szymon Marciniak, Ian Clarke, Gabi Riet van Pas, David Abrahamyan, Allar Kaasik, Philippe Bernold and many renowned opera singers.